Mian Shahbaz Sharif is born on September 23, 1951. He is a chief minister of Punjab Province of Pakistan. Most of people in Pakistan know him as a reformer due the fact that he has changed the shape of Punjab and developed it according to modern standards. He is the brother of Nawaz Sharif, Prime Minister of Pakistan. 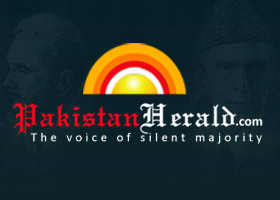 He was the chief minister of Pakistan's most populous province Punjab from 2008 to 2013. Previously, he held this position from 1997 to 1999, when Pervez Musharraf toppled the government in "coup d'état". He, along with his entire family, was sent to exile to Saudi Arabia. The entire family returned back to Pakistan in 2007. He was elected to the Punjab Assembly in 1988 elections and National Assembly in 1990. He was again elected to the Punjab Assembly in 1993 and was named leader of the opposition in the house when Manzoor Wattoo was the chief minister of Punjab. After his election to the Punjab Assembly for the third time in 1997 elections, Shahbaz Sharif was elected leader of the house and sworn in as the chief minister of Punjab on February 20, 1997. He held the office till October 12, 1999 when the military under staged a coup under General Pervez Musharraf and toppled the government of his brother. He was arrested from the Prime Minister in Islamabad along with his brother. As the chief executive of the Punjab province, he was known as a strict disciplinarian. During his tenure, he tried to eliminate the culture of bureaucratic hurdles in the uplift process and focused on health, education, agriculture and industrial sectors. He launched a successful operation against ghost schools by involving army. He also took action against use of illegal means in examinations across the province. The entry test and self-finance systems in medical colleges were introduced during his tenure as the Punjab chief minister. He never compromised on quality of work in development sector and several projects in Lahore are a proof of his commitment in this regard. Even his opponents described as the best administrator the Punjab ever has. Exiled to Saudi Arabia along with the whole Sharif family on December 20, 2000, he was elected unopposed as president of the Pakistan Muslim League-Nawaz (PML-N) on August 3, 2002. He spent two years in Saudi Arabia and then moved to the United States for medical treatment and instead of returning to Jeddah, where his family was staying, he went to London. He attempted to come back to Pakistan on May 11, 2004 but was again deported to Saudi Arabia within a few hours. He was re-elected as PML-N president for second term on August 2, 2006. He was once considered a strong future candidate for office of the prime minister of Pakistan. He represented Pakistan at various international forums including the United Nations, where his views and speaking powers were appreciated. His keynote speech at the International Labour Conference held in Geneva in 1981 was praised by the worker associations, activists and democratic people around the world. He returned to Pakistan along with other family members on November 25, 2007 and landed at the Allama Iqbal Airport in Lahore. Sallam....Sir you are Great...........We All Citizen of Lahore Love you & Proud of you......! ASSALAM O ALAIKUM Sir. Mera name Muhammad Naeem hai, B.com ka student hoon. Mai zela Lodhran thseel Kahror Pakka k ek choty sy gaon Baven Bass mai rhta hoon. Hamari zamen ko goverment ka 16.5 feet Road ka rasta hai. Msla ye hai k Gaon k ek zamindar ny us k half hasy pr kbza kr leya hai. Un ka ek bhai wakeel hai jis ka khna hai k 6-7 feet Road daty han baki hum apni zamen mai shaml karan gy. Abou ny paper Work kra leya hai But ab thseldar Road neklwany k adr jari ni kr rha. Kafi din sy Abou ko chakr dy rha hai. Hamary pass tamam saboot mojod han. Mhbany kr k koi esa rasta bataen k hum apna haq hasl kr sakan. ap ka bhot bhot sukr ya. ASSALAM O ALAIKUM Sir. Me Gunj Bujsh Road Icchra Lahore me rahta hu . hmare ilaaqe me sui gas ka bht masla ha . sardia chal rae ha or 2 hafte se bilkul bhi gas nae aaa rae. jis ki waja se bht tangi hoti ha . barae meharbaani isss masle per amal daraamad kr k ise jald az jald hal krwa dijye. Sir ! i have a suggestion regarding Terrorism, that nominate the people as a street head person on each & every street of Pakistan. Twenty house should be under one head person. Head person duty would not be a complicated , he would be as a information provider to Govt about any doubt regarding terrorists living , unknown persons, in the street. it,s easy way i think. Assalam o Alaikum!Sir most respectfully I want to bring to light a very serious issue regarding distribution of laptop according to the scheme on matric level in punjab (rawalpindi).Actually, I am student of second year in private college in Rwp board currently on 100% fee concession.I got distinct marks in first year i-e 83.09% too .I passed matriculation in 2013 with 89.047% from federal board because of fee concession.But i am seeing many students who passed matric in 2013 with less than 89,even, less than 80% from rwp board ; get registered, got laptops except we because of being passed matric from federal board ! !even, we were not given registration forms to benefit from this scheme.Don't you think that it's not based on 100% merit policy.I belong to rawalpindi, punjab and I am unable to afford for laptop inspite of the fact that i need it. with best wishes that i want say that our good muslim honest peaceful true loving human leader Prime Minister Mian Nawaz Sharif sb. 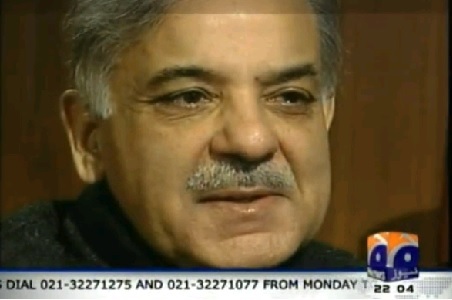 & Sher Punjab Mian Shabaz Sharif sb. always right for human and peoples of Islamic republic Pakistan and think for all human they do good work and progressive work for people. we like and love them.Allah bless them and whole of us.all Pakistani people prays with u our good leaders.Pakistan zindabad. sir,ap ny ab tk boht achy kaam keye hain.mgr sir young genration ko sirf labtop ki nhi nokrion ki b zrorat hoti hy.muj jaisy lakhon hon gy jo k kae salon se berozgar hain or ksi govt department mn job k leye intizaar kr rahy hain.plz sir es traf b twajo den thanx. Sir, I want to attend your attention about the negligence of dengue team doing in the field. I leave in Rasala No. 12 Check No.295,Jang Road, Faisalabad. I witness a Government Dengue survey team checked a vehicle tire shop near my house. Team found the Adult larva in quantity. When dengue team members take the water samples. Some political peoples of that area force them to drop the water immediately. I surprise to see that not any kind of action take against the tire shop keeper due to the political influence. Sir, Tell me who can we win the fight against the dengue. Dengue not go to see the advertisement. It happen when we do practically. Government allocate a lot of money to disfunctional of dengue but all the efforts are fail when peoples show this type of behaviours. Government must take stricken action that kind of peoples who cause dengue. please order to your team re-check my area because I personally see there a lot of dengue mosquitoes. Sir, I was one of top supporter of PMLN since i become young and was thinking that you are best administrator in Pak. But in this tenure you are failed to maintain law and order and theft incidents in RWP are on high rise. May car is also stolen and i couldnt find any update on it till now even updated on CMS portal with ID CMS52491. Please share why i am paying tax to your govt. from my salary if you are not able to secure my life and belogings.....? I am sure this comment will not reach to you but in MEHSHAR i will hold you from collar. Thanks. sir you are great i proud of him i love you really sir you make pakistan nice and great and we also with you all the time and our Allah with us and help us. 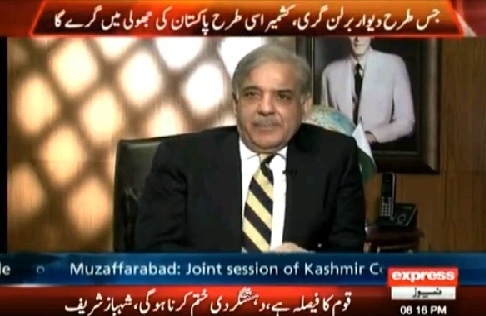 Topic: An Exclusive Conversation with Chief Minister of Punjab Mian Muhammad Shahbaz Sharif. 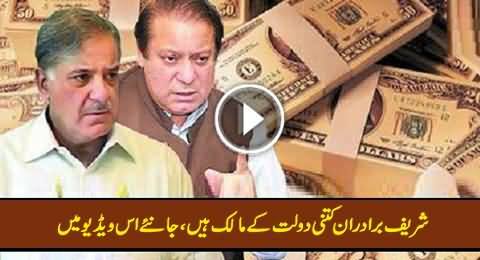 Mian Shab we all are very happy that you are the chief minister of Punjab. You do the work and help the people like Hazrat Umar. 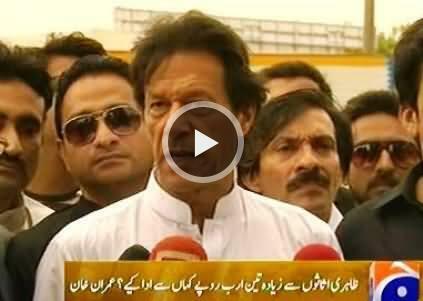 Its your greatness but one thing I tell you that pls finish the VIP culture. This culture is broken our country. Simplisty is the best for us. Mian sahib I have some problems but I can't tell it openly. PLs if you are my brother tell me your contact No. or email address where I contact you. Thanks you and Duaain. Agar sachi toba ho to zaroor qabool hoti hay. 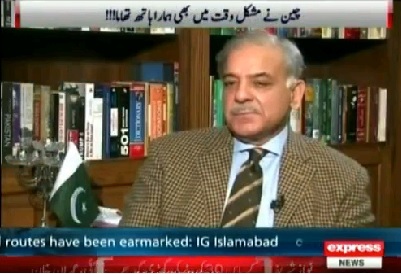 Well said Shahbaz, despite the most hostile MQM interviewer.